A commuter is on track to get married after using the information screen at Waterloo station to pop the question. This is the moment a man allegedly used a sledgehammer to break into a train depot, before smashing walls, windows, toilets and computers. The chief executive of Network Rail has told ITV News that lessons have been learnt after last year's disruption. Former Transport for London Commissioner Sir Peter Hendy will start his first day on the job as the new chairman of Network Rail today. He was installed in the job by Transport Secretary Patrick McLoughlin late last month. 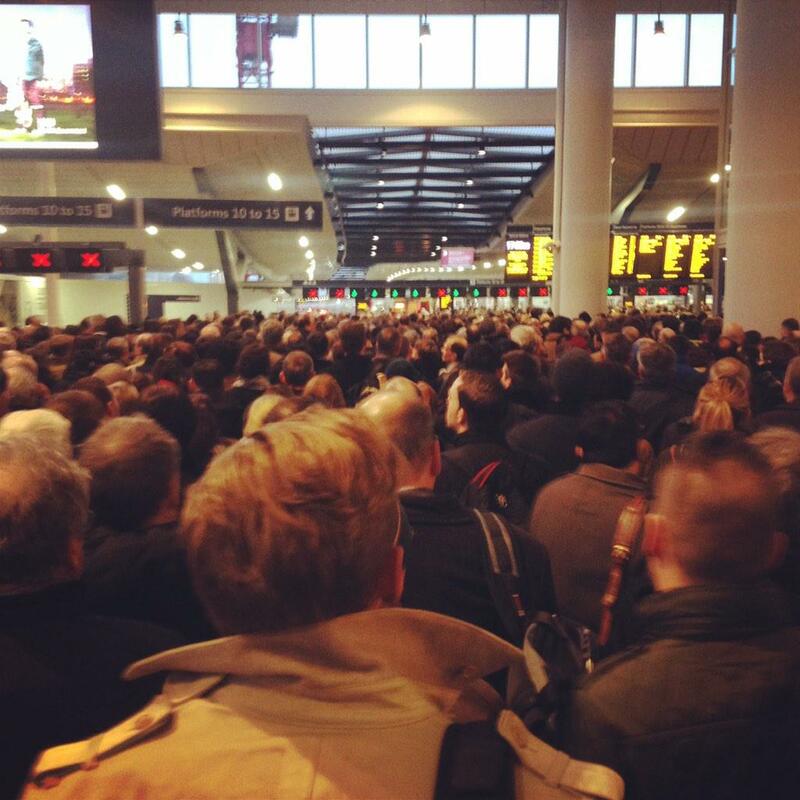 It's hoped he can help rescue Britain's rail network after over-running engineering work at stations such as London Bridge led to a catalogue of delays for commuters. He is expected by the government to undertake a review of Network Rail's investment programme over the next few months. London Underground boss Mike Brown is taking over as the interim TfL Commissioner until a permanent replacement is recruited. The chief executive of Network Rail said he found the timing of the strike decision by RMT staff as "deplorable" and said they are trying to get them back into negotiation. This strike is deliberately timed to cause maximum disruption to families trying to enjoy the half-term break and millions more returning to work after the bank holiday. I find it deplorable that the RMT can hold the travelling public to ransom in this way. This week we have been talking to ACAS to try to get the RMT back around the table. The public knows only too well that our railway must improve. We want to work with the unions so that we can reward our staff through improved productivity. Rail passengers are being warned that services will be at a "standstill" in the morning after the Bank Holiday due to a strike by Network Rail workers due to start at 5pm on Monday May 25. Network Rail workers are set to stage a 24-hour over the bank holiday weekend. Credit: Press Association. The union said services will be hit from Monday but warned that the biggest impact will be on the Tuesday. The strike will affect football fans leaving Wembley after the Championship play-off final, which kicks off at 3pm on bank holiday Monday. An official warned "services will be at a standstill". Network's Rail's 24-hour strike over the Spring bank holiday is the first test of industrial relations for the new Conservative government. The Tories are planning tough new laws to stymie the power of the unions in calling strikes but with an 80% ballot turnout, the RMT was well above the government's proposed threshold. RMT leader Mick Cash said: " We have a massive mandate for action which shows the anger of safety-critical staff across the rail network at attacks on their standards of living and their job security. "It is appalling that NR are refusing point blank to take this dispute seriously, to understand the deep-seated grievance felt by their staff and to come forward with a renewed offer which protects pay, jobs and safety." Thirty railway stations in London are launching a new scheme to help disabled passengers. The six-month trial, called 'Turn Up and Go', aims to help people who need assistance without them having to book ahead. Currently support needs to be organised 24 hours before travelling. "Many disabled Londoners already go by rail without booking assistance but we know that many more would like the extra confidence that catching a train can be a spontaneous decision for them. Rail services are now far more accessible than ever, and we are committed to continuing to make travel by train an attractive prospect for disabled people." 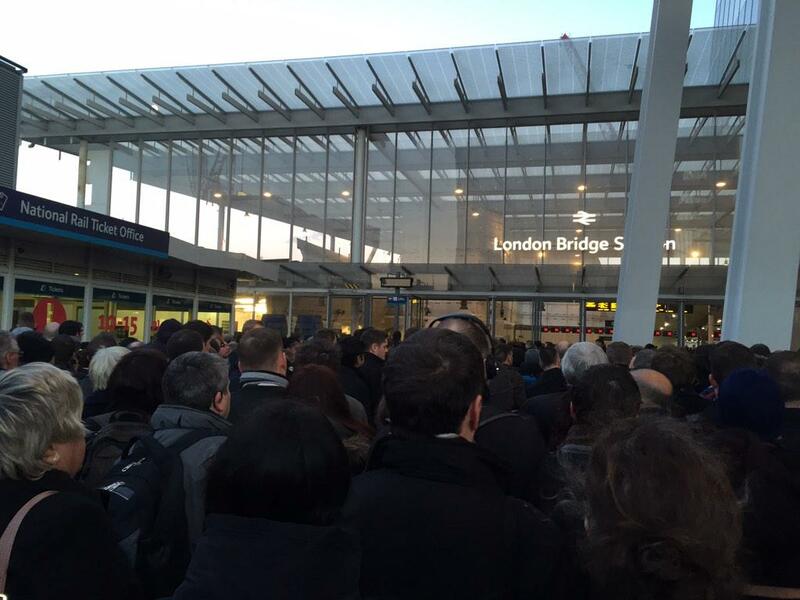 Police were called to London Bridge station this evening after thousands of travellers were left stranded when services ground to a halt during rush hour. Passengers facing delays were told there were signalling problems south of the station. How will major rail investment affect our region?